By Garett Sloane . Published on September 14, 2017. 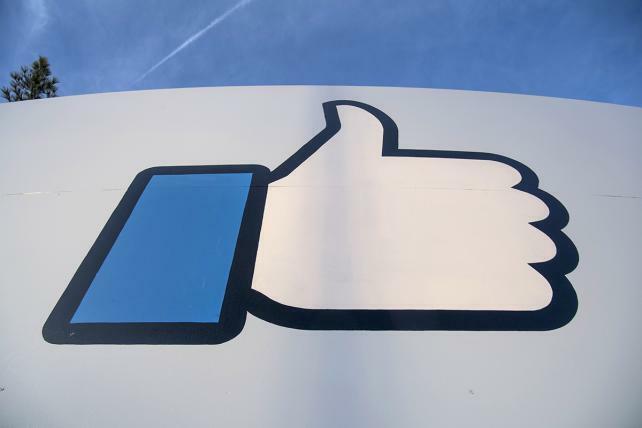 Not very thumbs up: Anti-Semitic ad targeting found possible on Facebook. Facebook's self-serve ad technology could until recently be used to easily target anti-Semites, a report from Pro Publica indicated on Thursday. Reporters for Pro Publica wrote that they had been able to select "Jew haters" as a group to target with ads on Facebook. Here's how it worked: Advertisers target campaigns by specifying the groups of people they are interested in reaching. Facebook offers different targeting options, like location, and age, and interests. In this case, under demographic and education categories, at least 2,274 people on the social network had put "Jew hater" as their field of study. When Pro Publica went to fill out the groups it was interested in targeting it tested the keyword "Jew hater," which turned up the group eligible for targeting. There were also people who put history of "why Jews run the world" and "how to burn Jews," as topics of study. They, too, were lumped into targeting categories. Facebook responded to the Pro Publica report by shutting down "field of study" as a targeting category. "We don't allow hate speech on Facebook," says Rob Leathern, product management director at Facebook, in an e-mailed statement. "Our community standards strictly prohibit attacking people based on their protected characteristics, including religion, and we prohibit advertisers from discriminating against people based on religion and other attributes. However, there are times where content is surfaced on our platform that violates our standards. In this case, we've removed the associated targeting fields in question. We know we have more work to do, so we're also building new guardrails in our product and review processes to prevent other issues like this from happening in the future." This wasn't the first time that Pro Publica found disconcerting ad targeting possibilities on Facebook. Last year, the nonprofit journalism group uncovered the ability to exclude certain ethnic groups from being shown ads, which raised concerns that housing advertisers could discriminate against minorities. It is illegal to discriminate when promoting housing and other opportunities. Facebook's targeting doesn't technically allow advertisers to specify minorities in targeting groups, but it has ethnic affinities, meaning the people are likely to identify or share interests with a certain group. Facebook stopped allowing ethnic targeting in housing or employment ads, and promised to beef up its automated detection methods to prevent any potentially discriminatory campaigns. The report of anti-semitism and ad targeting comes as Facebook is dealing with fresh concerns about the role it played emboldening the "alt-right" during the presidential elections. There have been reports that xenophobic Facebook users were purposefully targeted on the social network to generate political discord and anti-immigration sentiment. They were the subject of Russian propaganda campaigns. Facebook also disclosed for the first time last week that Russians spent money on the social network to buy ads and promote fake news. The full extent of the disinformation campaign is still being investigated.